Truffled Mac and Cheese- the name speaks for itself. This was a very indulgent treat. Indulgent in every way. Cheddar, gruyere, whole milk, truffle butter…. you can’t go wrong. 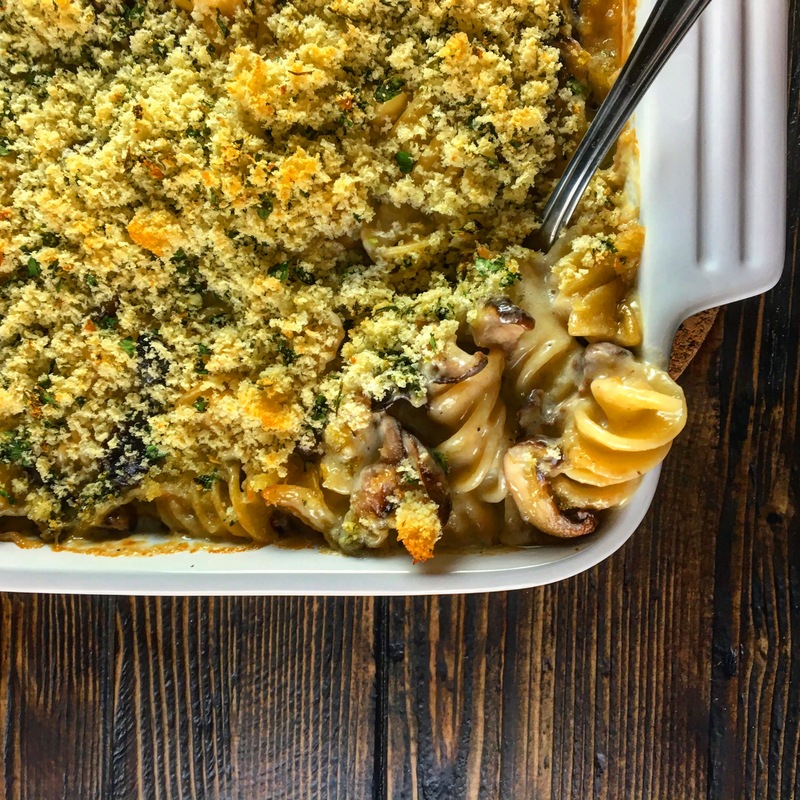 This mac and cheese takes a little more time than the average recipe but it’s really really worth it. I made it a few hours ahead of time and baked it off for dinner. 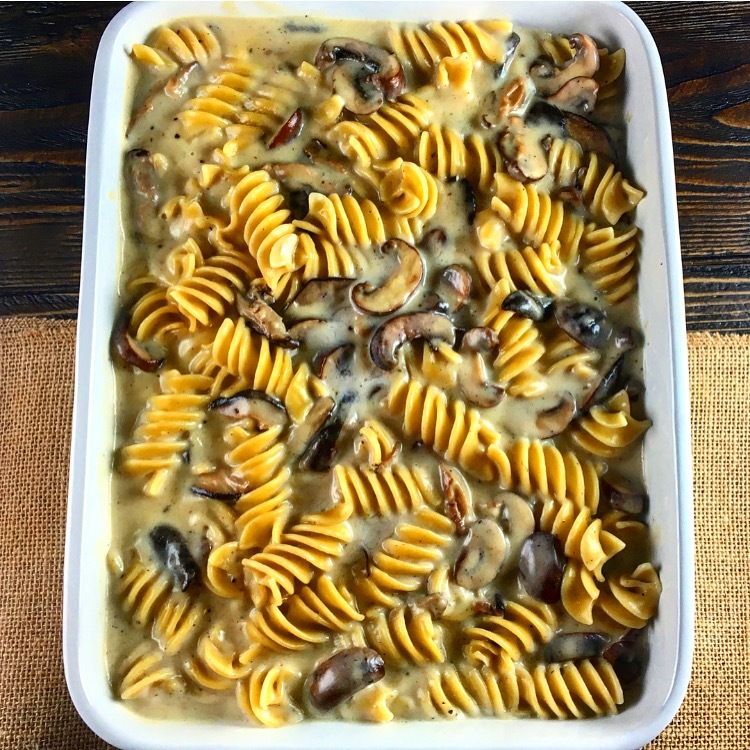 The mushrooms bring out the subtle truffle flavor and the crumb topping gives it a little garlicky bite. This makes a lot of mac and cheese but have no fear. I made this for my book club which ended up being on a super rainy night with some no shows. I was worried it would be too much mac for the small group but we did some serious damage to this cheesy goodness. 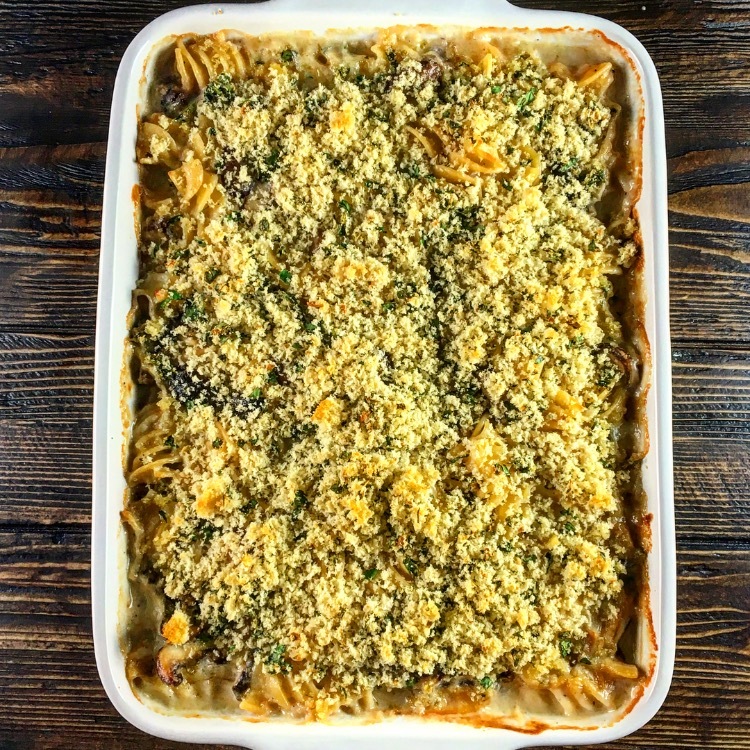 When the dish is this solid you want to share it with people that don’t mess around when it comes to quality mac and cheese. Preheat oven to 375 degrees. Heat butter and 2 tablespoons of olive oil in a large sauté pan. Add mushrooms, and cook over medium heat for 3 to 5 minutes. Add the sherry and sauté for a few more minutes, until the sherry is absorbed. Set aside. Cook pasta in boiling salted water for slightly less than the package suggests for al dente (it will cook more in the oven). Drain. Meanwhile, melt the truffle butter in a large saucepan and whisk in flour. Cook for 2 minutes over low heat, whisking constantly. Slowly whisk in hot milk and cook for 2-5 minutes, stirring constantly with a wooden spoon, until sauce has thickened. Remove from heat and stir in gruyere, cheddar, 1.5 tablespoon salt, pepper and nutmeg. Combine the pasta sauce in a large bowl (I used the pot I cooked the pasta in). Stir in mushrooms (if any liquid has accumulated around the mushrooms don’t add that). Pour into a baking dish (I used a 9”X13” but a larger one would work too). Combine garlic parsley and bread crumbs (I used a blender). Sprinkle crumb mixture over the pasta. Bake for 35-45 minutes until the crumbs start to brown. Let the pasta sit for 5-10 to set a little then devour.